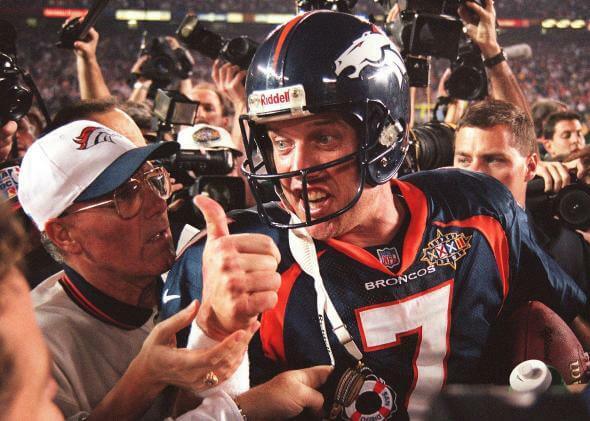 Super Bowl XXXII was an American football game between the National Football Conference (NFC) champion Green Bay Packers and the American Football Conference (AFC) champion Denver Broncos to decide the National Football League (NFL) champion for the 1997 season. The Broncos defeated the Packers by the score of 31–24. The game was played on January 25, 1998 at Qualcomm Stadium in San Diego, California, the second time that the Super Bowl was held in that city. Super Bowl XXXII also made Qualcomm Stadium the only stadium in history to have the Super Bowl and the World Series in the same year.